I don’t know if you’ve all heard, but Selfridges in London has recently opened the Beauty Workshop, which is an extension of their beauty hall. This part of the beauty hall stocks the more niche products such as Stila, Phyto, Bumble & Bumble and nail polish brands like Nails inc, Butter London and Essie. I went along on the opening day and instantly gravitated towards to the Butter London stand. I’ve only ever owned one Butter London polish and it was really my kind of colour so I never ended up wearing it. This polish is called ‘Bossy Boots’ (it was definitely made for me!) and is from their Spring/Summer 2012 collection. It’s a light, opaque pistachio green and nothing like any other polish I’ve got. I found the application really easy and the colour came out exactly as I was hoping it would. The bottle has a lid that you remove, similar to Chanel polishes and I’m not a big fan of these as you end up having to hold a very small fiddly brush which makes it a bit difficult. Overall I’m impressed and I’ll definitely be looking into other Butter London polishes. The price point is quite high at £12, but I think the quality of the polish makes it worth it. 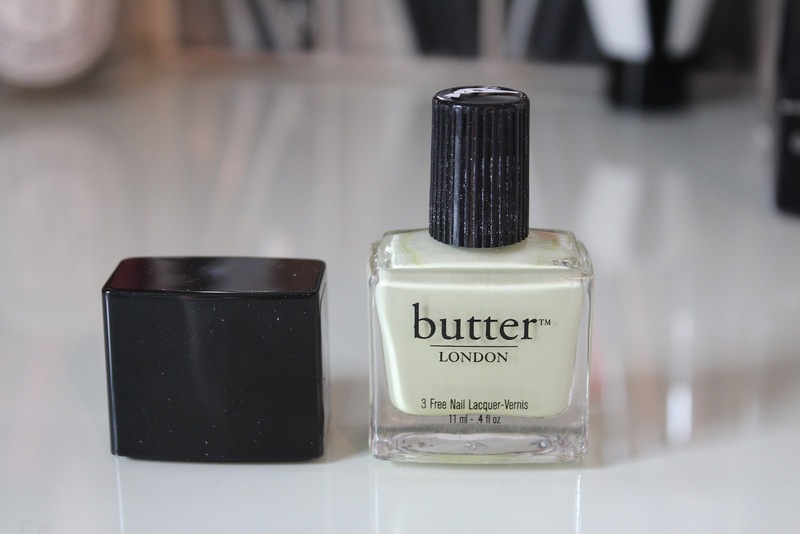 Have you ever tried Butter London? What do you think of this colour?